Summary: Seeking something outside the ordinary? Skwachàys Lodge, a boutique hotel, connects you to the region’s aboriginal heritage and life, with themed rooms created by local aboriginal artists. 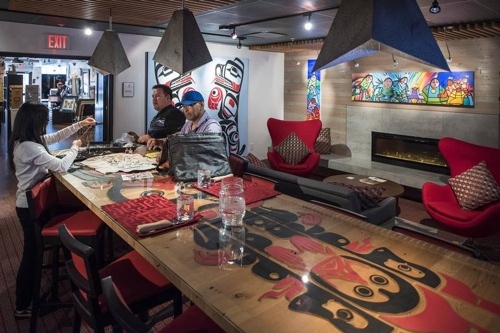 This hotel is part of a social enterprise in Downtown Eastside offering long-term transitional housing for aboriginal artists-in-residence which is subsidized by the hotel and the accompanying Urban Aboriginal Fair Trade Gallery.